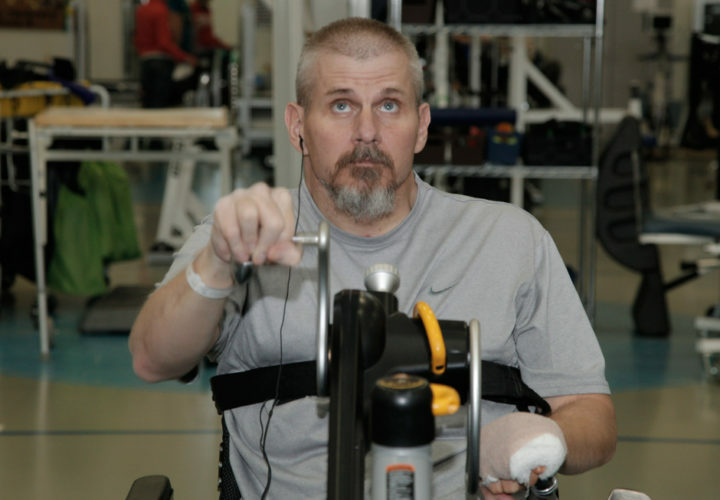 Physical therapy is an integral part of the rehabilitation process after a brain injury or spinal cord injury. The goal of physical therapy is to maximize functional independence and mobility. 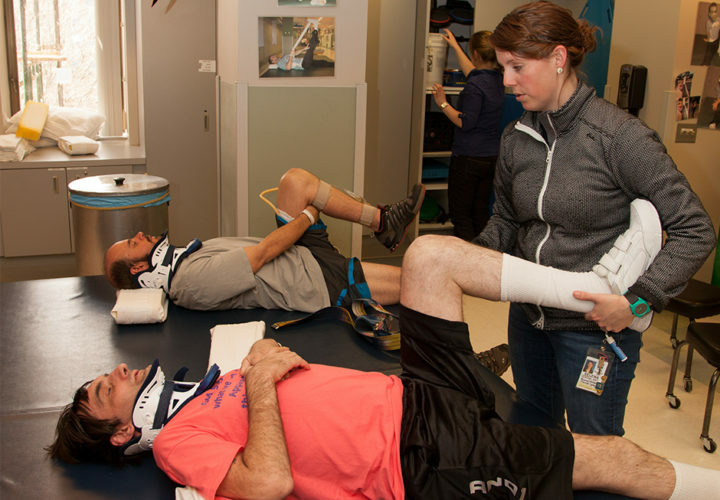 At Craig Hospital, physical therapy is customized to each patient’s individual needs. Both inpatients and outpatients participate in physical therapy. Each inpatient has a designated physical therapist on his or her interdisciplinary team who will routinely meet with other team members to determine a customized therapy plan. Inpatients can anticipate a daily physical therapy session with his or her physical therapist. 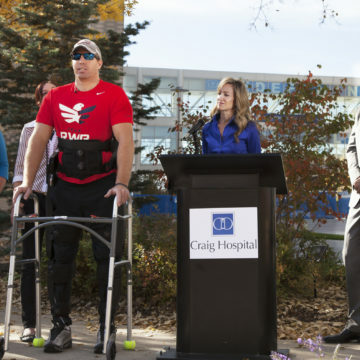 Craig Hospital has more than 50 physical therapists and physical therapy aides dedicated solely to rehabilitation of people with spinal cord and traumatic brain injuries. 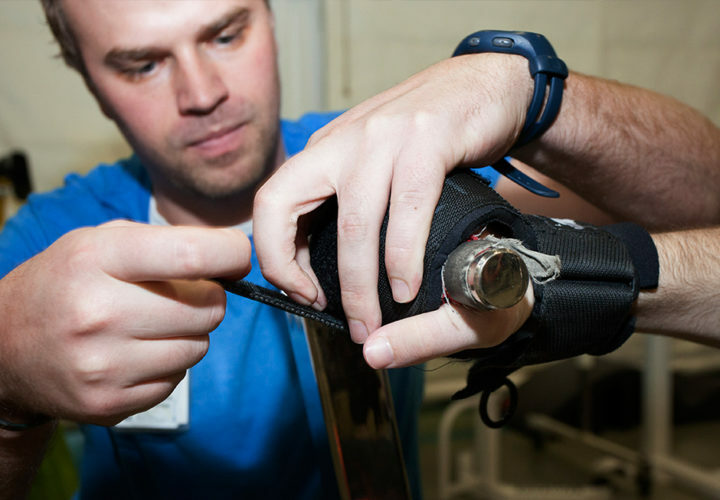 Our physical therapy program offers a number of specialized services and classes. 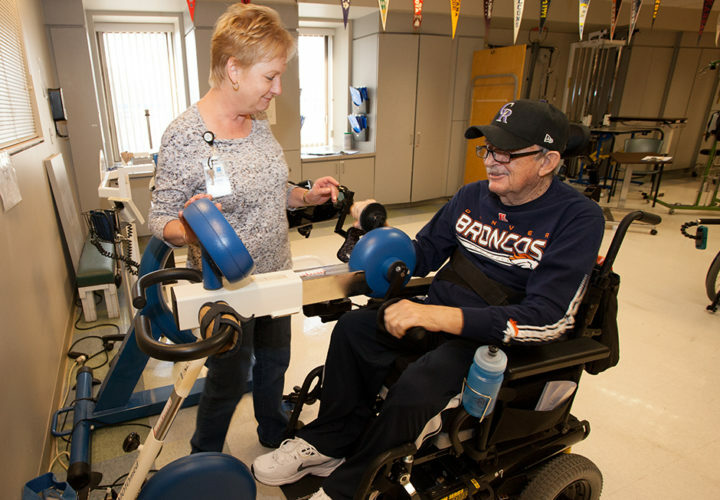 Physical therapy at Craig Hospital includes specialty fields that focus on locomotor training, manual therapy, functional electrical stimulation and advanced technologies. 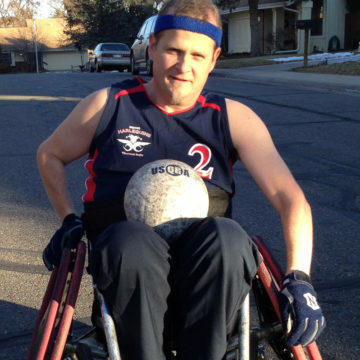 Wheelchair Skills Training – A class for patients to work on wheelchair skills and endurance. It is divided into endurance days and skill days (wheelies, going up and down curbs, and other advanced wheelchair skills). Basic wheelchair maintenance is also addressed. Fitness Instruction Training (FIT) – FIT class is an upper extremity strength/exercise program, developed to enhance functional training based on the patient’s level of spinal cord or brain injury, goals and interests. Patients are educated in: 1) safe strengthening and stretching techniques, 2) community resources to make a smooth transition into community fitness programs, and 3) activities which promote improved fitness levels such as cycling, wheelchair sports, and confidence building exercises. Mat Class – Class for patients with paraplegia or low tetraplegia with focus on functional mat mobility skills, sitting balance, transfer training, floor transfers and self range of motion. Core Mat Class – Group exercise class for incomplete spinal cord injured patients, incorporating therapeutic exercise for neck, trunk and all extremities. 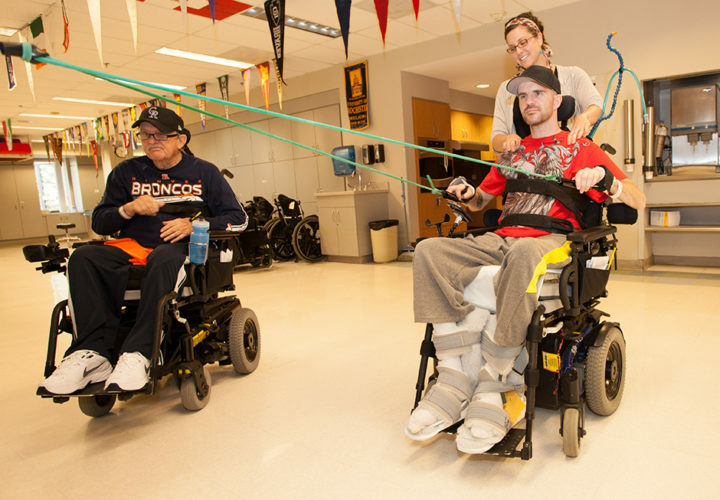 Wheelers Class – Group class to address wheelchair skills of patients with tetraplegia or high paraplegia to include endurance, directing curb and stair negotiation, weight shifts and family training. Referred by PT. 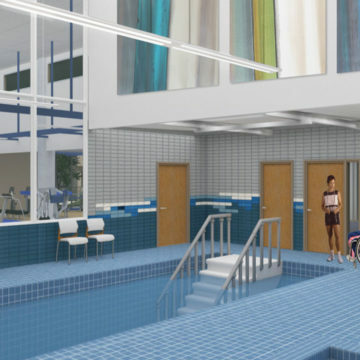 Pool Program– Aquatic physical therapy to enhance programs with using water as a medium for strengthening, endurance, range of motion and more, available to medically stable patients in the state-of-the-art therapy pool at Craig. Referred by PT, physician order required. 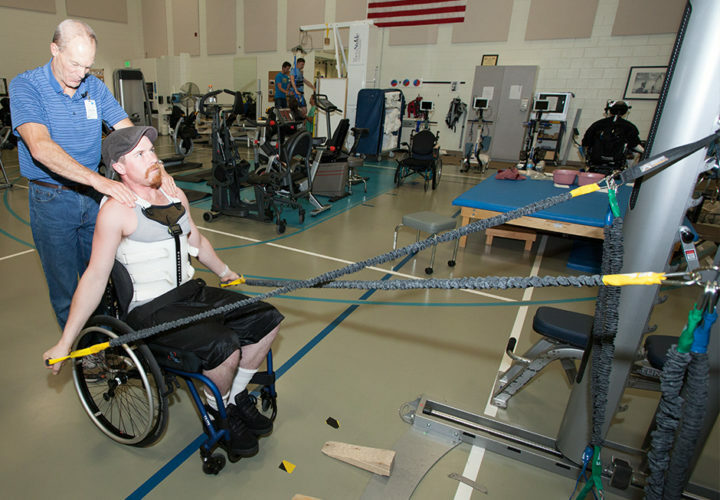 Be Fit – Group treatment for patients with tetraplegia, focusing on upper extremity strengthening, stretching and endurance, as an adjunct to individual therapy.